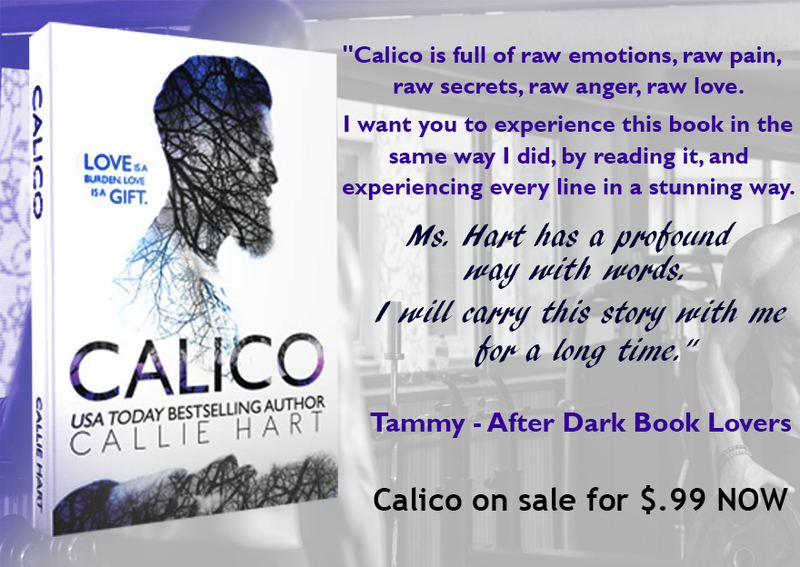 Callie Harts’ first standalone novel, Calico, is now on $.99 sale!! If you haven’t had the opportunity to read Callan Cross and his bluebirds’ story, here’s your chance now. A lifetime and a thousand miles have stood between us. Now, there’s no length of time I won’t wait, no distance I won’t travel, in order to make her mine. This entry was posted in Books and tagged Calico, Callie Hart.